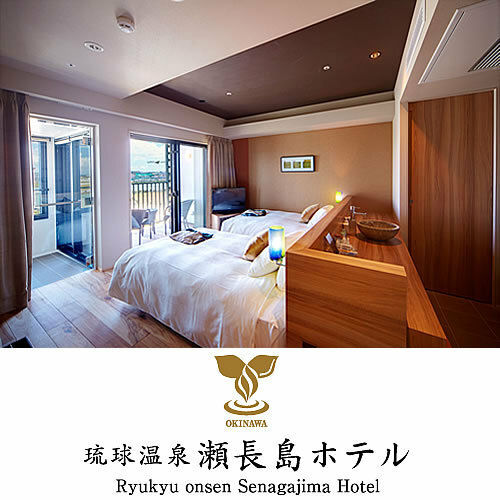 Ryukyu Onsen Senagajima Hotel, gebouwd in 2013, is een aanwinst voor Okinawa en een slimme keuze voor reizigers. Vanaf hier kunnen gasten genieten van eenvoudige toegang tot alles wat de levendige stad te bieden heeft. 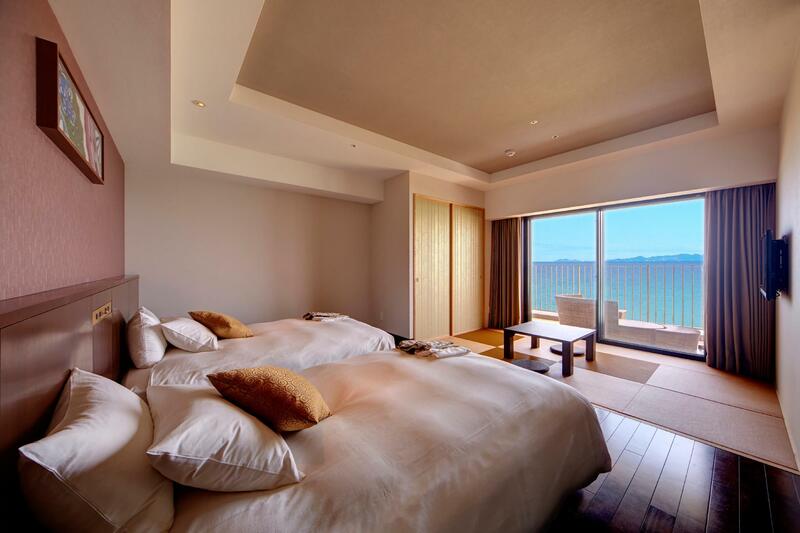 Een baken van rust en ontspanning: dit hotel is het perfecte verblijf op steenworp afstand van bezienswaardigheden als Okinawa Outlet Mall Ashibinaa, Toyosaki Nanairobatake, Chukogura. 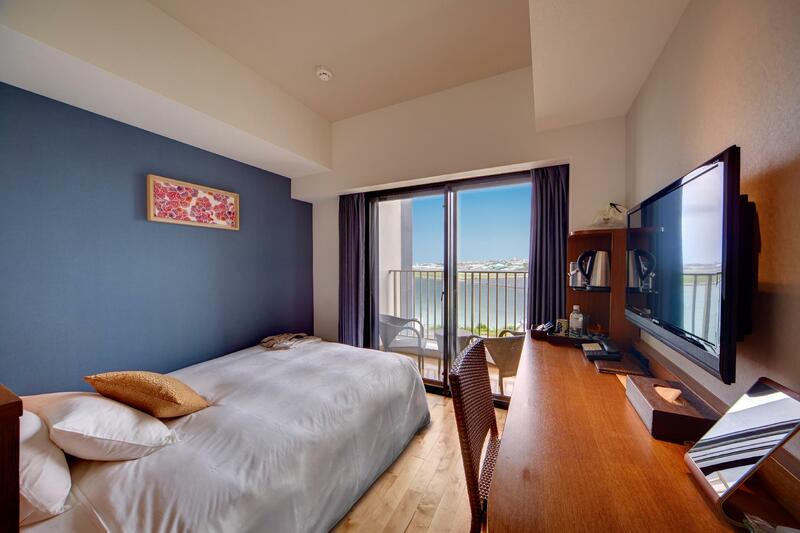 Profiteer van de ongeëvenaarde dienstverlening en voorzieningen in dit hotel in Okinawa. Voor het comfort en gemak van de gasten biedt het hotel gratis wi-fi in alle kamers, 24-uur receptie, bagageopslag, wi-fi in openbare ruimtes, parkeerplaats. Ervaar kamerfaciliteiten van hoge kwaliteit, inclusief plasma tv, draadloos internet (gratis), rookvrije kamers, airconditioning, verwarming, om tot rust te komen na een lange dag. Of u nu van fitness houdt of gewoon lekker wilt ontspannen na een drukke dag, het kan allemaal in dit hotel dankzij faciliteiten als sauna, thermaalbad , zwembad (buiten), wellnessfaciliteiten, massage. 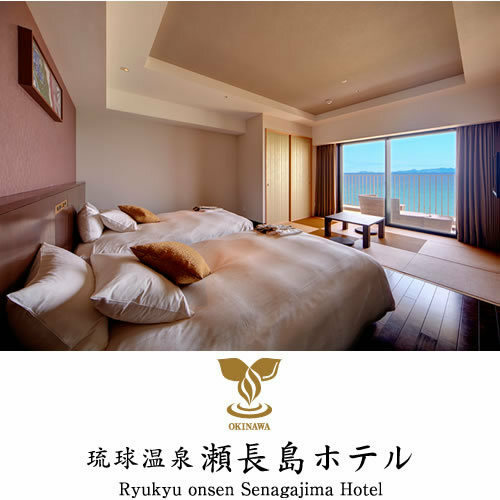 Wat de reden van uw bezoek ook is, het Ryukyu Onsen Senagajima Hotel is een uitstekende keuze voor uw verblijf in Okinawa. Shuttleservice vanaf Station Akamine isvan 9:05 tot 20:50 uur bij de accommodatie beschikbaar. Neem voor meer informatie a.u.b. contact met de accommodatie op. 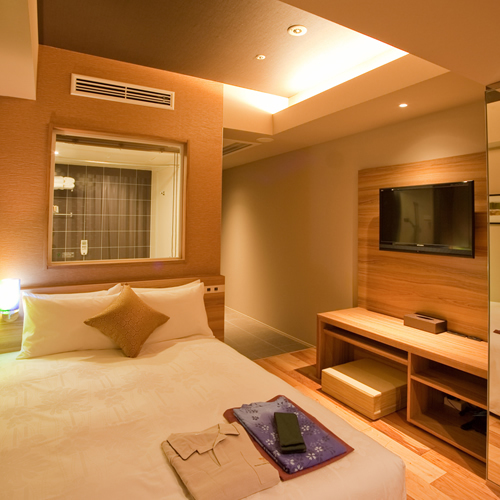 We got the stay at a highly discounted rate which makes the stay extremely worthwhile and value for money. Property is at a great and unique location sitting on top of a hill, with many interesting shops and eateries around. Great views of the ocean and the airport. 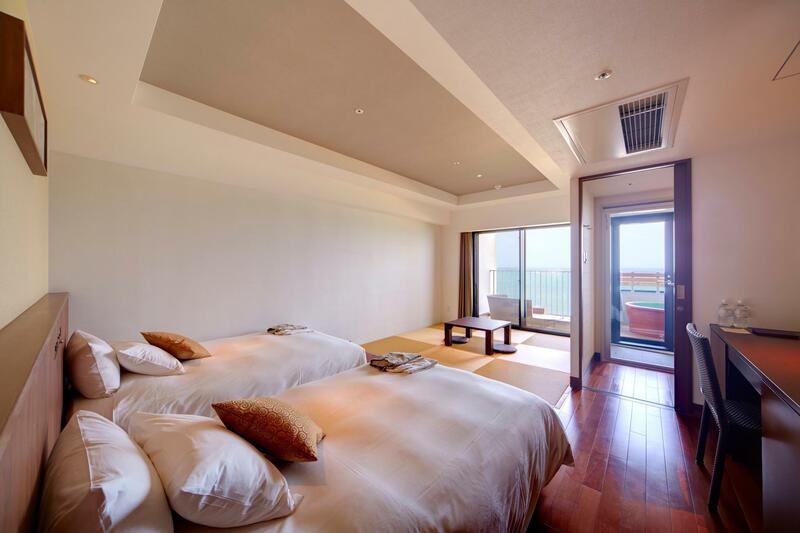 Very nice onsen within the hotel. 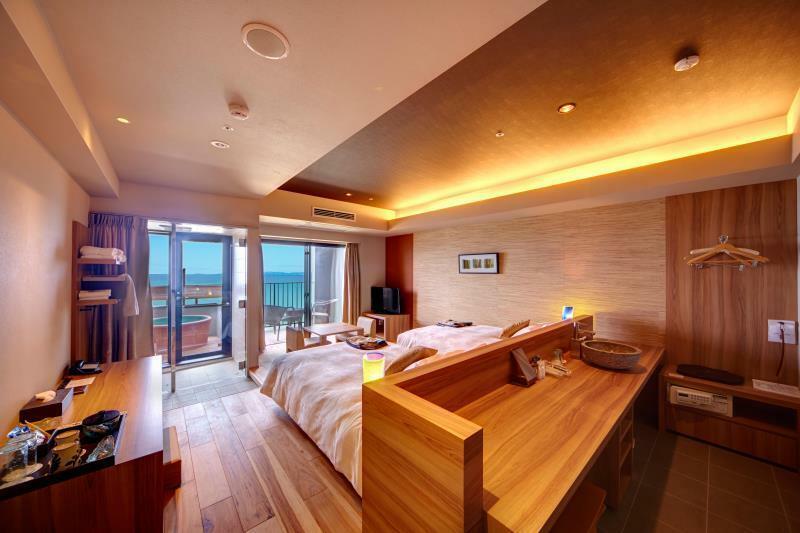 Rooms were clean, views were great from the balcony. Unique layout. Staff were pleasant and helpful. Overall very pleasant stay. The stay was wonderful. The staff were polite and helpful. Breakfast was great with a huge spread - there was nato beans, Okinawa soba and tofu, and even chocolate fondue. The onsen was lovely and a new experience. Although it was facing the airport runways, it didn't bother us too much. Overall, we had a good time with our 8 year old. . Although the hotel was near the airport, the noise was well-isolated in the room. The hot springs, the shuttle bus service to the hotel/airport, and breakfast were fantastic, Overall, it was a good experience except for the disappointing rooms I had. The first room I got had a very bad smell (like some sort of dead meat) around the corner of the window to the washroom. It was hard to tolerate, so I asked to switch a room. The staff sent their team to inspect the room, and then decided to let me switch to another room that didn't have a good view like the room I had. The staff did remind me of that point, but I felt sort of getting "downgraded" as the second room was smaller with no smart pad to play around. As a 4-star hotel, I expect it could be better organized whenever they have this kind of situation happens. 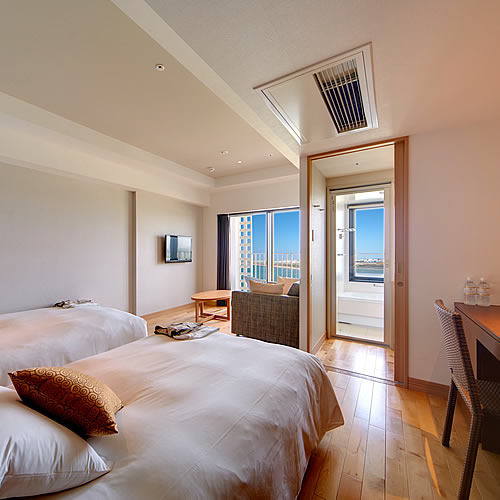 I loved Senagajima - the hotel is perfectly situated with shops and restaurants just below, as well as beach access (although it's not really a swimming beach). The food was good, and the views lovely. Considering how close it is to the airport, it was relatively quiet, and watching the runway is interesting. 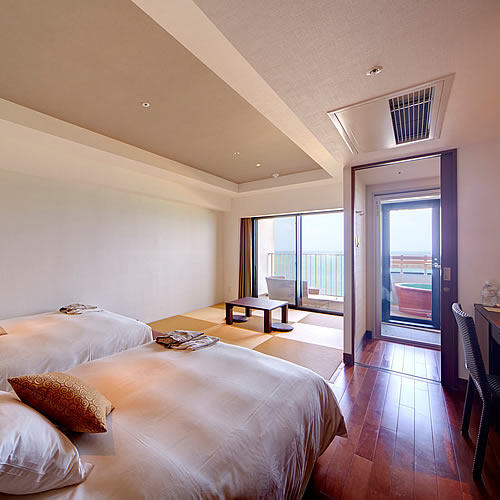 I loved having an onsen bath on my balcony, and used it every day! Considering how austere and basic the room and hotel are, I did feel it was overpriced. With that said, the staff was nice and it was good for a getaway. Dear Valued Guest Thank you very much for your review. We will shrare this to all the staff. We are looking forward to seeing you again in the future. it's a very good place for relax if you're driving. And nice view. Onsen is free for guests which is good. The staff here are really nice. But too far away from city. Driving like an hour to city and half hour to restaurant which around for midnight snack. nearby restaurant close like 8-9pm. We booked 3 nights with room facing the sea. Weather was a little cloudy for the first 2 days, but we had a great sunny day on the lats day of our stay. Efficient free hotel shuttle bus bring you to nearest monorail station in less than 15 minutes. 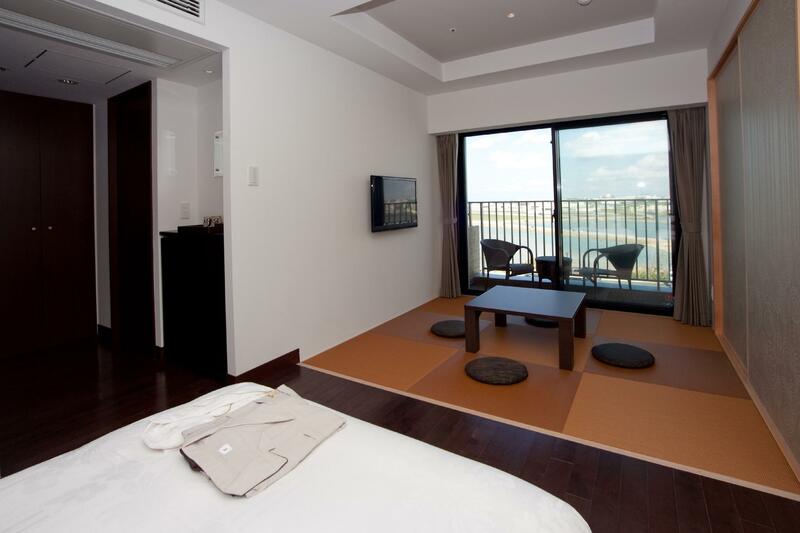 From there, you can take the monorail to places of interest within the Naha city centre. It is a very good location and the best view for self-driving tour. 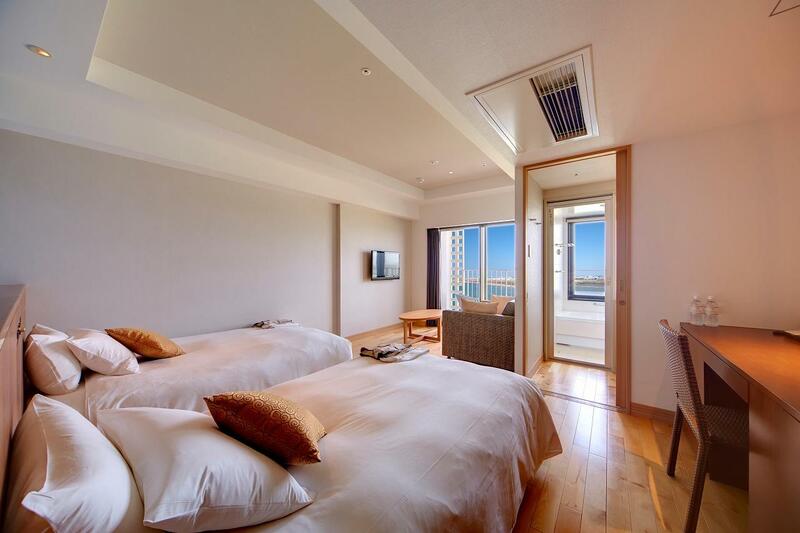 You can directly see the plane landing, the breakfast style is general, the room facilities are very good, and there is a good hot spring. The hotel provides good service and have widespread of breakfast. Initially was disappointed as the outdoor onsen closed as typhoon damage. 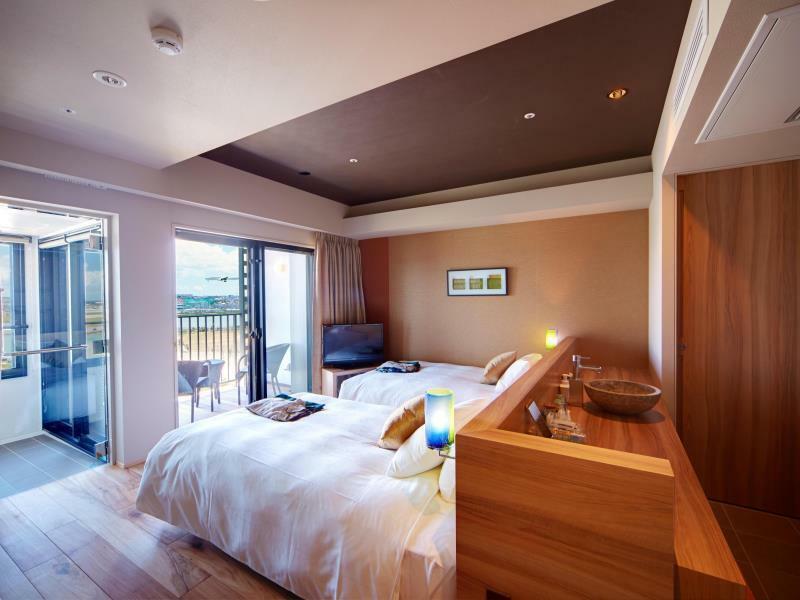 But they managed to clean up and operate the onsen as normal on next morning. Execellent location but the room is not big enough as expected. Although we were at first worried with the sound of airplanes taking off (the hotel being so close to the airport, and having a room facing the airport), this was a problem only during day time; at night I hardly noticed this (only if I was already awake). Other than that, all was great. Especially, the staff was amazingly nice, and although few of them could speak English, they all tried very hard to make our stay pleasant. Many bath options to choose from. Location is just behind the Umakiji Terrace shops with lots of food options. Shopping options is limited though. Great view as it’s practically standing on the coast. Super strong winds, you can hear them howling! Dear Valued Guest Thank you very much for your review. We are looking forward to seeing you again. A little bit pricy but it worths based on the service, facilities and the view from the hotel provided. 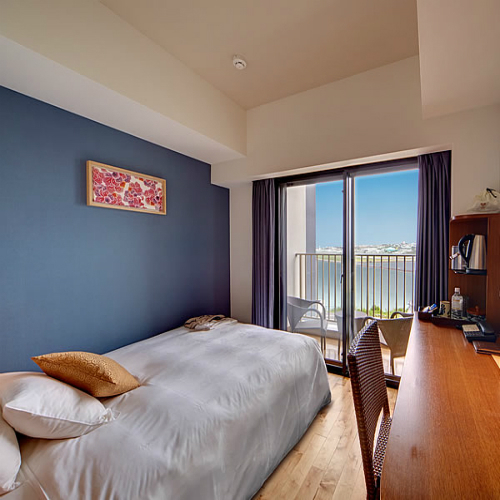 The hotel provides round trip free shuttle bus from monorail station and main shopping area to hotel. You can have a care-free vacation without worrying transportation. Good indoor hot spring bathroom but a little bit expensive. 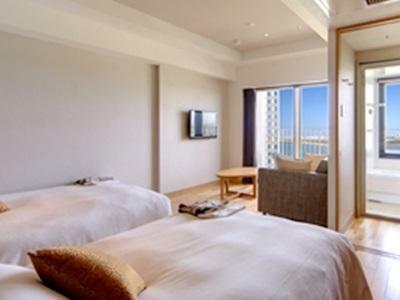 It is very clean and have a good sea view. The service from counter is very good. It has a lot of food in the breakfast buffet but just a bit crowded. Have to wait for sitting. The shuttle bus can only fit 24 people, please make sure you queue up opposite to the hotel main attrance. For people who take shuttle bus at Palatte Kumoji, the shuttle bus will wait behind the main bus stop, it’s kinda dark at night, the bus doesn’t have shiny colour or highlighted, so please look carefully, otherwise you might miss it like me...! 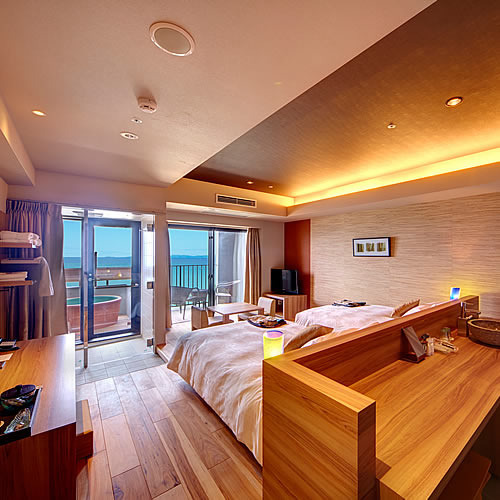 We travelled as a couple and stayed in Ryukyu Onsen for our 2nd last day before flying home. The rooms had a good view of the sea, there were plenty of decent restaurants within walking distance, the view of the sunset was superb even though there were much clouds. We might have been there during the off-peak season, so there weren't much crowds. The onsen was clean and of good quality! There are some pools with a roofless view. There's an ice cold pool, a sauna too. The sauna heat was rather overwhelming so I barely stayed inside for 3 minutes. Overall, the service staff were polite and met my expectations of a good hotel. Both of us had a wonderful time and are looking to possibly visit Ryukyu Onsen again. I was very happy to stay in the hotel.